New Delhi, March 22: At least 163 Army men deployed at the Siachen Glacier lost their life including 6 officers in last ten years. This was said by Defence Minister Nirmala Sitharaman in a Lok Sabha on Wednesday. 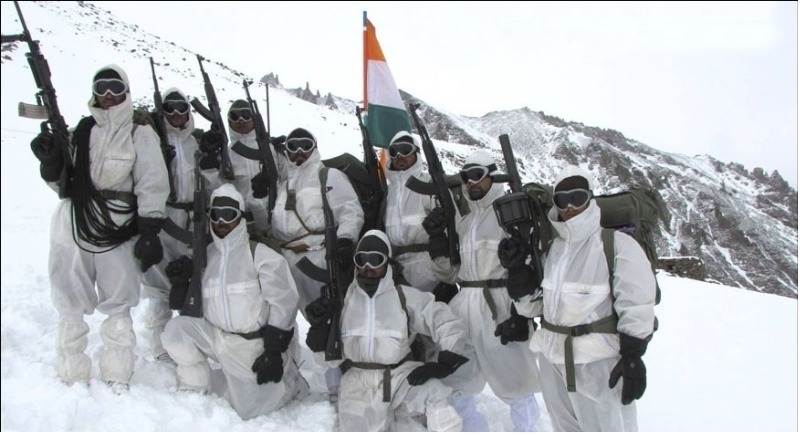 Notably, Siachen Glacier is the world’s highest battlefield. In a written reply to Lok Sabha, Defence Minister Nirmala Sitharaman while giving year-wise details on the deaths of armed personnel said that the Army lost 163 personnel including 6 officers deployed at the Siachen Glacier. The Defence Minister said nine army men lost their lives in 2008 followed by 13 in 2009, 50 in 2010 and 24 in 2011. Twelve army men had died in 2012, 11 in 2013 and eight in 2014. The number of deaths in 2015 was 11 while it was 20 and five in 2016 and 2017 respectively. Meanwhile, replying to a separate question on whether the Sahayak system in the Army has been discontinued in peace stations, Minister of State for Defence Subhash Bhamre said no such decision has been taken. The Siachen Glacier in the Karakorum range is known as the highest militarised zone in the world where the soldiers have to battle frostbite and high winds. Avalanches and landslides are common at the glacier during the winter and temperatures can drop to as low as minus 60 degrees Celsius India and Pakistan started deploying troops at the strategically key glacier in 1984.